Banners.com has lots of Father's Day Gifts for your Dad! 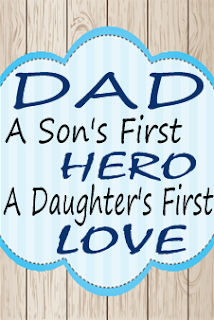 Father's Day is June 16th - be sure to get your Dad a gift he will remember this year! 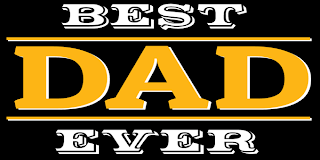 Create a customized "Number One Dad" decal or other custom decal for your father to display on his vehicle. You can also make bumper stickers that say "Best Dad Ever" or "Number One Dad". You can create customized decals and bumper stickers in our online designer. If your dad has a boat, 4-wheeler, jet ski, motorcycle or other toy, you can get him a customized decal to put on it! You can do a small decal, or you can do a whole wrap on one of our three decal materials. Click here to get started on your decal. Canvas Wall Art makes a great gift for your Father! You can put your dad's favorite photograph on a canvas - whether it is a family photograph, a photo of his big buck, or scenery pictures, we can turn your photograph in to a custom canvas print! You can also put a sentimental quote on a canvas, or your dad's favorite quote. Click here to get started on your Canvas Wall Art. If you are having a Father's Day Party, be sure to decorate with a Father's Day Banner! We have templates available to customize, or you can design your own by adding backgrounds, clip art, photographs and text. You can also upload your own file or work with our graphic designers. Click here to get started on a banner. What are you going to get your Dad for Father's Day?